This wall chart is a comprehensive visual map of the classical guitar. It includes a large diagram of the instrument and detailed views of its parts. Each part of the instrument is described, exposing the elegant simplicity of the guitar's construction. 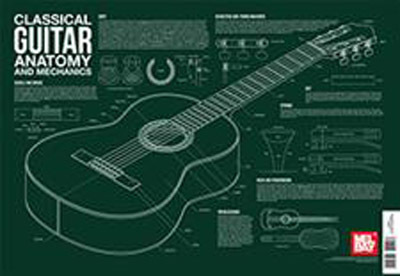 This poster is a great visual for anyone interested in the classical guitar.